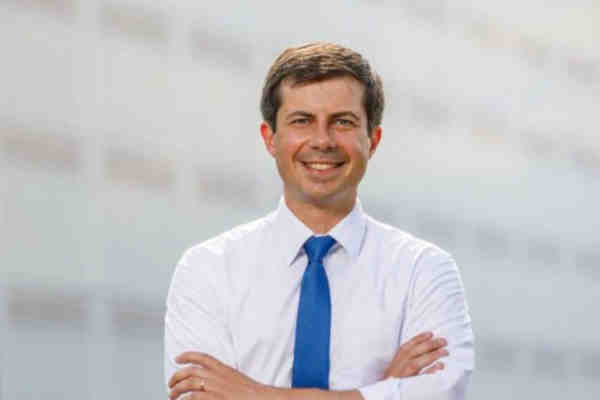 A new poll released Thursday has presidential hopeful Pete Buttigieg, the openly gay mayor of South Bend, Indiana, in third place behind former Vice President Joe Biden and Vermont Senator Bernie Sanders. Biden, who has yet to announce he's running for the White House, leads the 2020 Democratic presidential field in Iowa. The Monmouth University poll shows Biden the choice of 27 percent of likely caucusgoers in Iowa. Sanders has 16 percent and Buttigieg has 9. A CNN/Des Moines Register survey conducted a month ago had Buttigieg at just 1 percent. Another recent survey by Emerson Polling also had Buttigieg in third, behind Biden and Sanders. According to a POLITICO analysis, 15 candidates have qualified for the first Democratic debate, including Buttigieg. Conducted April 4-9, the Monmouth poll surveyed 354 likely Democratic caucusgoers and has a margin of error of plus or minus 5.2 percentage points. Buttigieg is expected to formally announce his campaign on Sunday.